Andy Serkis Is Going to Produce, Direct, and Star In a Rumplestilskin Movie? Okay, Sure. Why not? At least this live-action, updated version of a fairy tale from the perspective of the villain isn’t a remake of something. 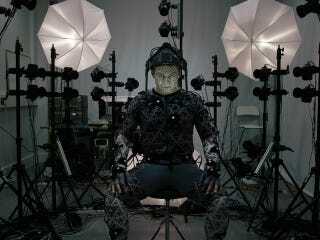 Plus, there’s something distinctly Rumplestiltskin-y about Serkis. None of this is officially confirmed yet, but The Tracking Board reports that Serkis has been tapped by Fox to produce, direct, and star in Steelskin, which is supposedly a version of the Rumplestiltskin story in a Snow White and the Huntsman vein. So much in that vein that the writer of that film, Hossein Amini, has reportedly been hired to write this script. Which is all more of the same in terms of Hollywood trends. At this point, as long as the details don’t sound soul-destroying, you’ve kind of just gotta shrug and say “Eh, sure.” But Steelskin is an awful name, by the way. No one’s going to have any idea what that means. How much do you want to bet that it becomes Rumplestiltskin in short order?